Control all of your contracts, partners, markups, products and packages. Add unlimited markup rules. Add descriptions and priceplans for all products. Integrated with your booking engine it completely automates your booking process, right from booking to voucher/e-ticket generation. Easy of use, highly scalable and flexible, can be integrated with multiple inventory systems. Rules can be applied on the fly so as to be able to offer variable pricing. Receive bookings from your trusted Agents online or your direct clients requesting an offer. At the same time, far less work is done to streamline and handle these reservations. No more Excel sheets, manual invoices and vouchers, no more currency conversions. Offering fast and beautiful quotations to B2B and B2C clients is a life saviour. Sell tours, cruises and ultra-dynamic packages either to your B2B clients or on your website to consumers. Business travel? Create a corporate booking website for your clients and process their bookings without any manual labour. Why a Pink Elephant as your logo? 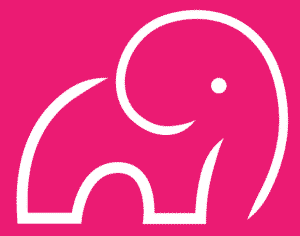 We combined the elephant, being an intelligent traveler, with the pink colour, the international color of collaboration. Together they imprint our business-model: An association of international travel specialists cooperating on a high-tech platform. We serve small to medium sized DMC’s and Small Ship Cruise Companies but can reliably handle very large operations as well. Many of our users are niche-touroperators and shipowners as well as travel agencies. Most of our clients are tailor-made professionals specialising in a certain field of tourism. Can I upload my own products? Yes you can! Hotels – Transfers – Activities – Bungalows/Villas/apartments – Static Packages – Cruises – Dynamic Packages – Car Rental. All of these products you can upload with prices, special offers, different rates for different seasons and all other relevant details. They are instantly online. Rates you can flexibly specify for an unlimited number of client groups or markets. Certainly: we can connect you with bed-related wholesalers, car rental suppliers and activity providers. Integrations are also possible with flight providers. This powers you to offer fast and accurate online availability and rates. The platform gives you at all times an overview of what you owe and who owes you. You can also run a list of payments you need to make next week. Furthermore, each an every booking, even complex trips with many components, can be seen in a financial overview so you know what profit you made. Our platform is no accounting software but it surely gives you a quick view of your economics. All data can be exported to your existing accounting software. We know the value of making fast and beautiful offers to your clients. Our platform will enable you to quadruple the number of quotes you can send out and at the same time, decrease the amount of work involved with 70%. You can quote for FIT’s and groups and moreover, changes in the offers hardly cost any time. When the final trip is accepted, booking and producing documents is fully automated. Can your platform handle groups? It does! You can upload different rates for groups in your contracted accommodations, activities, static packages and transfers. The system will also allow you to make quotes for group requests easily, fast and accurate. Definitely! Any itinerary or quotation can be copies as a new Itinerary or saved as a template for future trips. Just copy the itinerary and make the changes you want, link it to another client and you’re ready: the itinerary is recalculated with the new values saving you masses of time. Pink Elephant International builts long lasting business relationships. We value transparency and base our collaboration on partnerships. Online training (excellent internet connection is compulsory). On-premises (highly recommended): We will travel to you to conduct this training. Travel related expenses are chargeable. Service: Help desk, Chat Function and Support App are inclusive: our response time is real fast and our support service is legendary. Online refresing-courses, update discussions and live assistance are always included. Setup cost based on number of users. User Fees: Base on number of non-concurrent users; minimum of 3 users. More users - lower price per user. Discount on first year user pricing. Yearly contract with a tacit renewal. Your contract includes a 3-month trial period: if you decide to discontinue using our platform within 3 months after contracting date, we will refund any unused User Fees. In case you discontinue your contract we can make your data available to you. Our database engineers will be able to export your data for you to be used anywhere else. The time involved is chargeable. 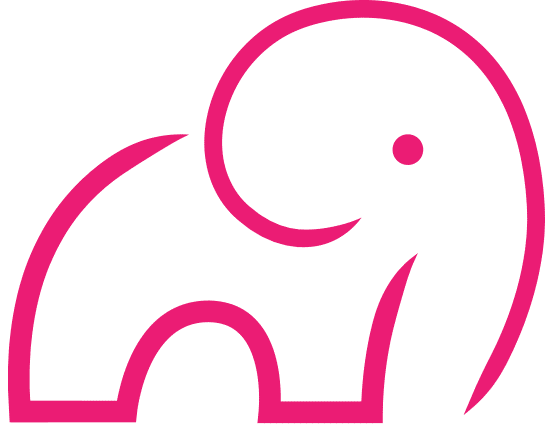 Soon after becoming a member of the Pink Elephant association, we understood the potential and quickly based our business around this highly innovative platform. No regrets ever: fast, responsive, accurate, efficient and foremost: our sales increased. Quotes are made on a daily basis to serve our clients. Pink Elephant ensures that the time to design a trip, offer it, revise it, quote again and finally: book everything, is a breeze. Fast response to our clients is a winner! Reservations are sent to our local partners automatically. No more worries, calculation mistakes or delays on confirmations. Best subscription ever! We pride ourselves to tailormake all our prestigious tours and always thought these could not be computerized. Nothing was less true: we’re able to design trips for our most demanding clients. Our overseas business clients also started to design themselves and fantastic itineraries were developed. We can use elements of each program for other clients as well; fast and creative.